Greymoon is proud to be participating in this years Pulse game: "Neuro Drain". I've provided 3 of the prizes that you can find on your way through the game. 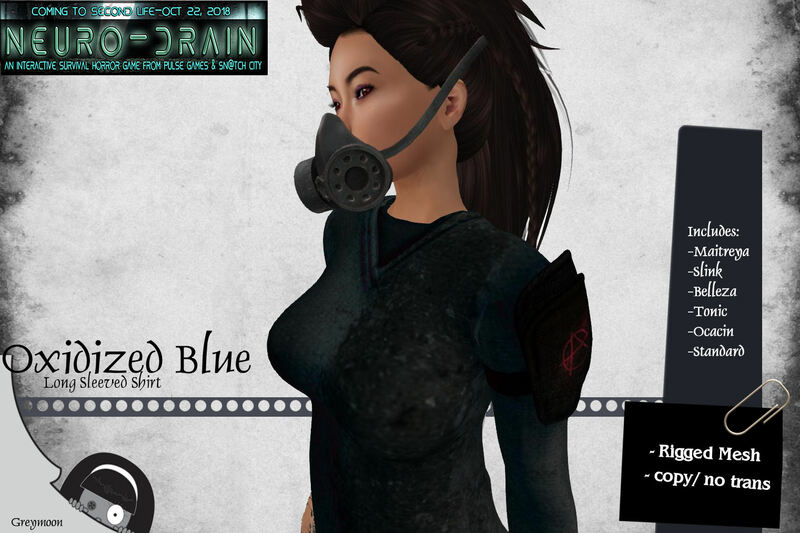 A Frightening Interactive Horror Game in Second Life set in a Dark City of the Future. PREPARE yourselves for a descent into Madness! For the past 11 years Pulse Games has been terrifying Second Life and once again, it is TIME! We've been haunted, abducted, lost in space, serial murdered, stalked, set up, trapped in nightmares, burned alive, blown up, left in limbo, went trick or treating, got lost in the middle of Nowhere and been cursed and here we go again! 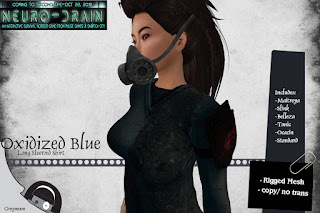 Open now from the creators of Cutting Class, Nightmare Eden, DIVE, The Flesh Game, Resting Place, System Failure, Don't Panic, Carver's End, NOWHERE & BIRTHRIGHT one of the most frightening and realistic fear experiences you will have in Second Life. 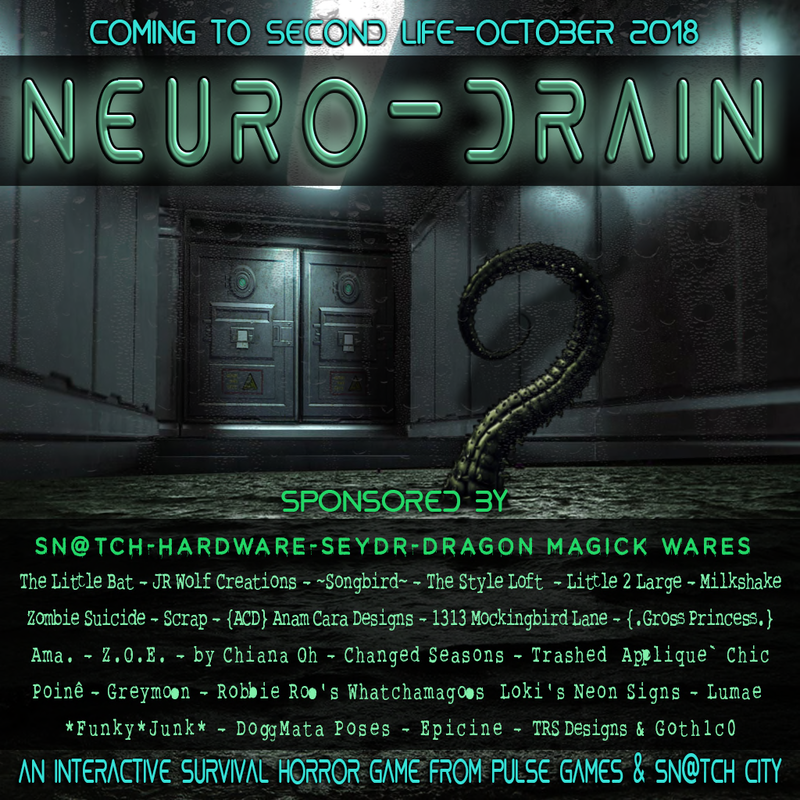 Our 11th Annual Completely Interactive Survival Horror Game, "NEURO-DRAIN"! Never worry about what to wear when you step fesh out of the shower again! 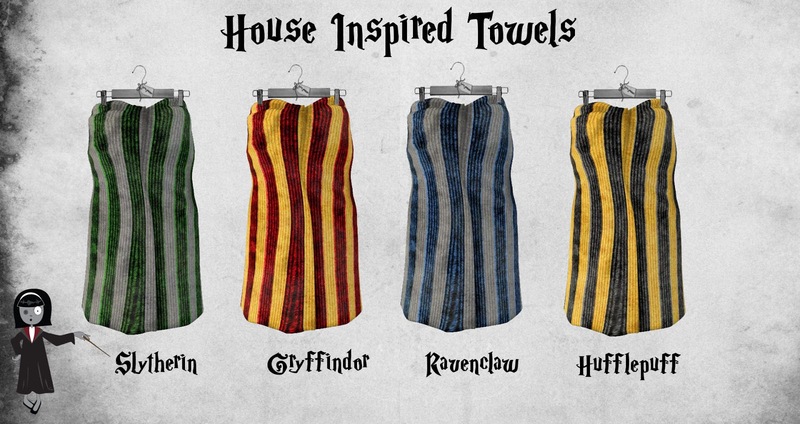 Be loud, be house proud and grab yourself a themed house towel to wrap yourself in. You'll be warm and cozy and modest! Hai! 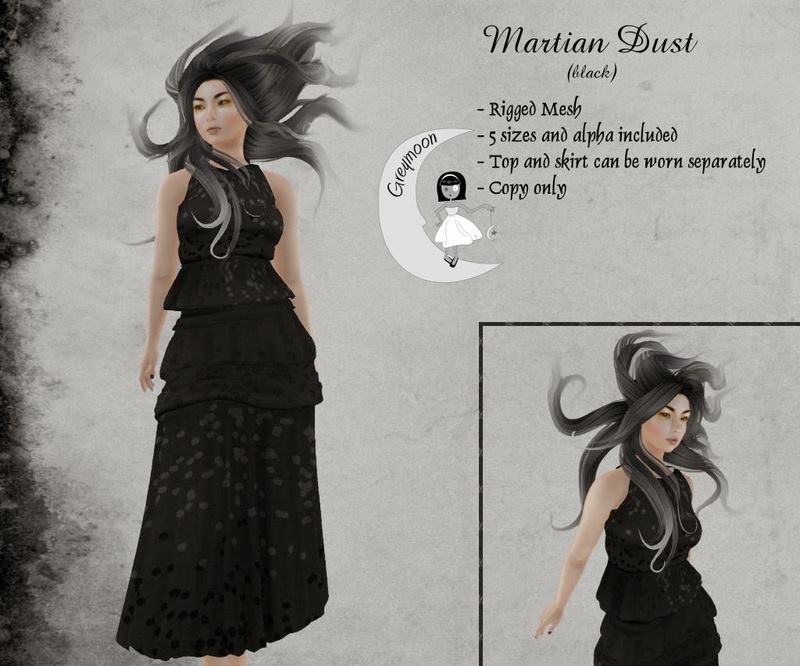 Recently I redid all my Forget Me Not Layering Tanks to include appliers for both Omega and Maitreya. They still include layers for classic avatars but are now more versatile. Each set is 100L and includes 4 shirts. 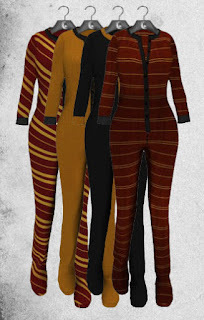 Inspired by Harry Potter, this is a mesh onesie that includes Fitmesh, Slink, Maitreya and Belleza versions. 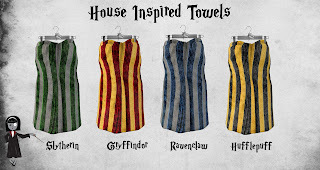 There are 4 different sets available for purchase representing the 4 houses of Hufflepuff, Slytherin, Ravenclaw and Gryffindor. 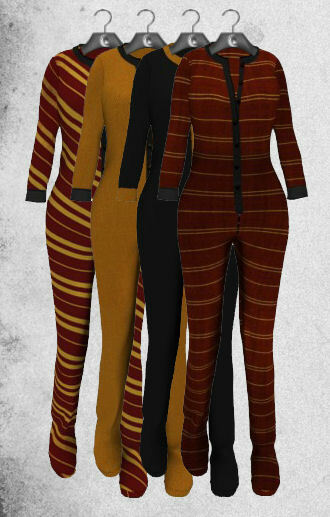 The onesie includes a HUD for allowing the choice of 4 different fabric options. 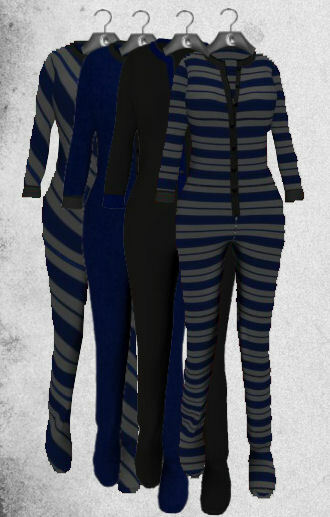 These are: Angled stripes, Horizontal stripes, and two different solid colour options. 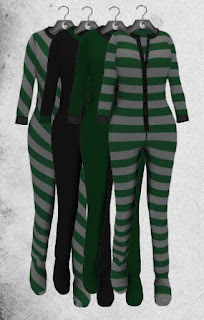 This item also includes modesty appliers for an undershirt option. 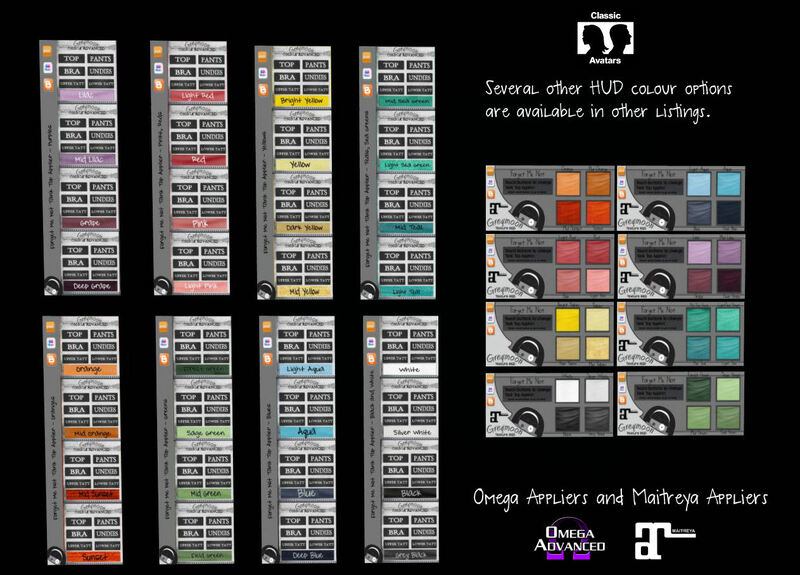 Appliers are omega as well as maitreya. There are 4 options for the undershirt. Please remember to try a demo. This is a no transfer item. 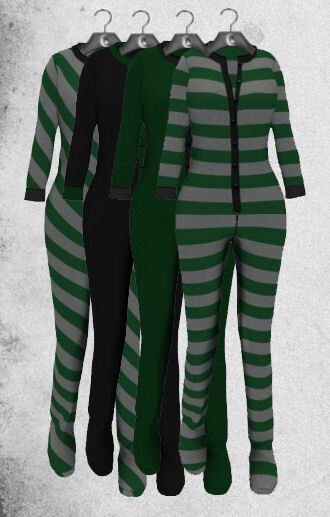 These Onesies are available at my main store as well as in my Diagon Alley and Hogsmeade stores. They can also be purchased from my market place store. So I haven't posted in a long time but I am still creating. 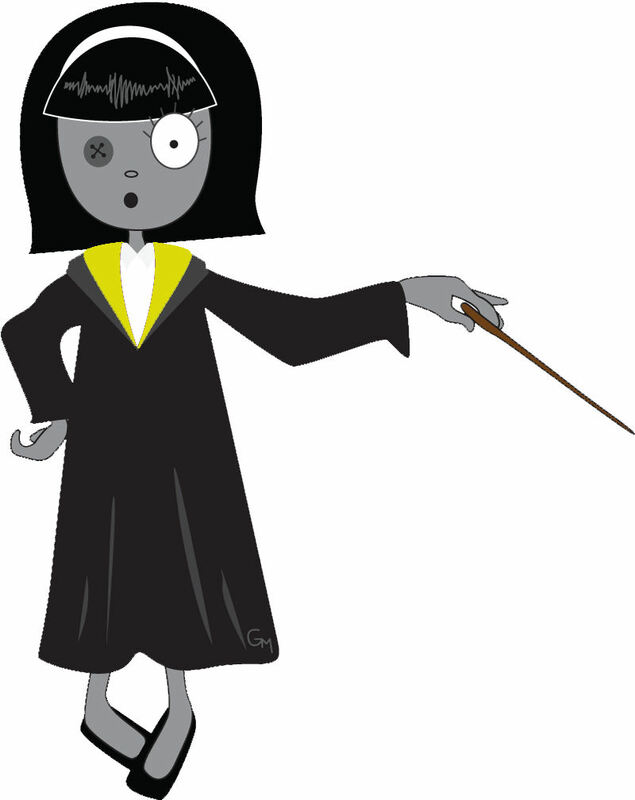 I've discovered this awesome RP sim in Second life called "Mischief Managed"
My awesome logo designer has whipped up a special version of my logo in HP mode. Greymoon for "The Dirty Turkey Hunt"
Greymoon is thrilled to be one of the stores participating in this years Dirty Turkey Hunt put on by Depraved Events. This is the 6th year that this event is running and it's very well organized. There is even a flickr group dedicated to pictures of items being offered. 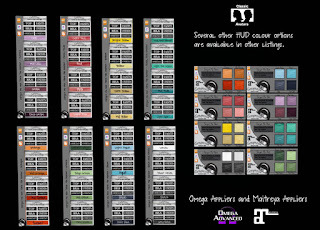 Greymoon is Store #71 out of 100 stores. 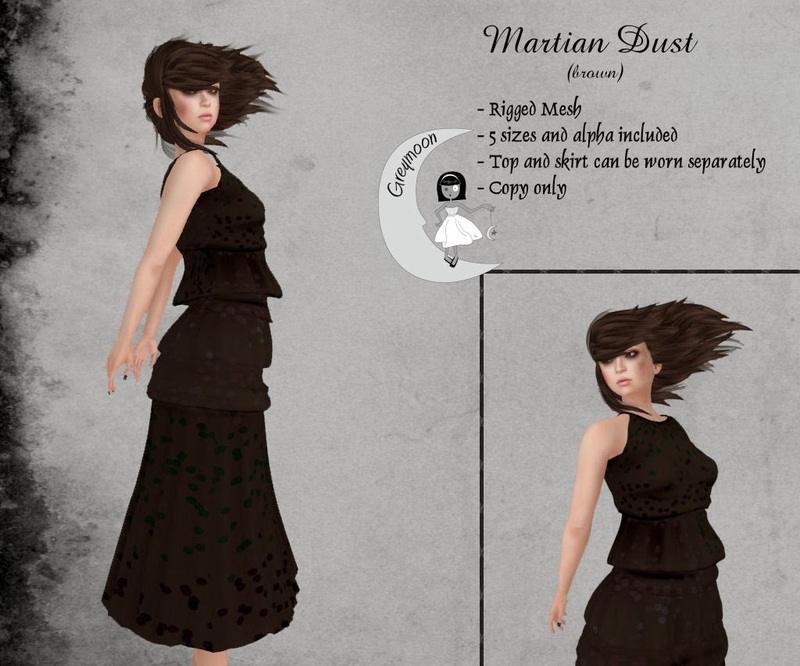 I have created a really comfortable dress perfect for a fall day. 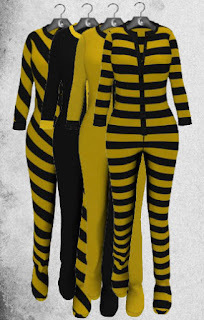 It's standardized mesh in 5 sizes. 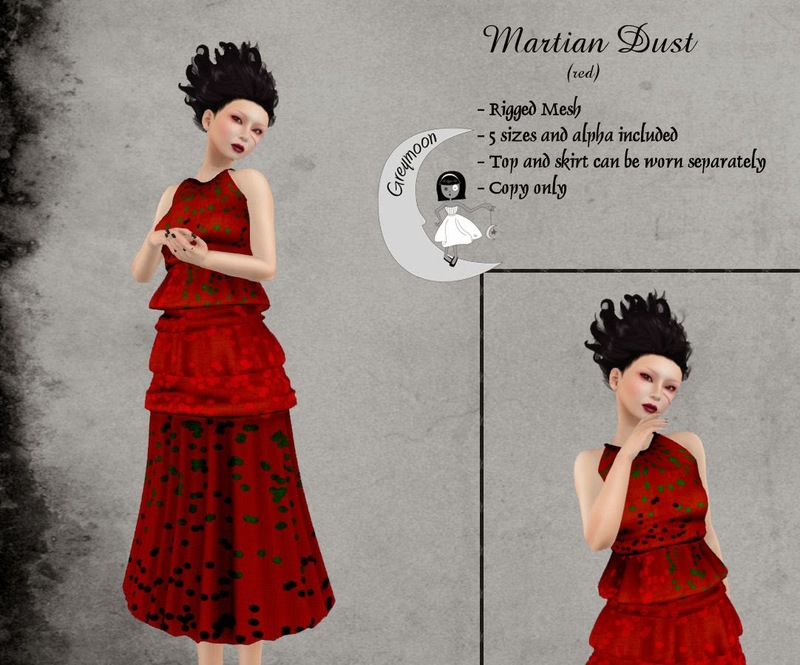 I am wearing the Maitreya body with it and had no trouble with fitting. Grab a taxi to find your gift. I have a last minute addition to the current event now running for A Tattered Page. 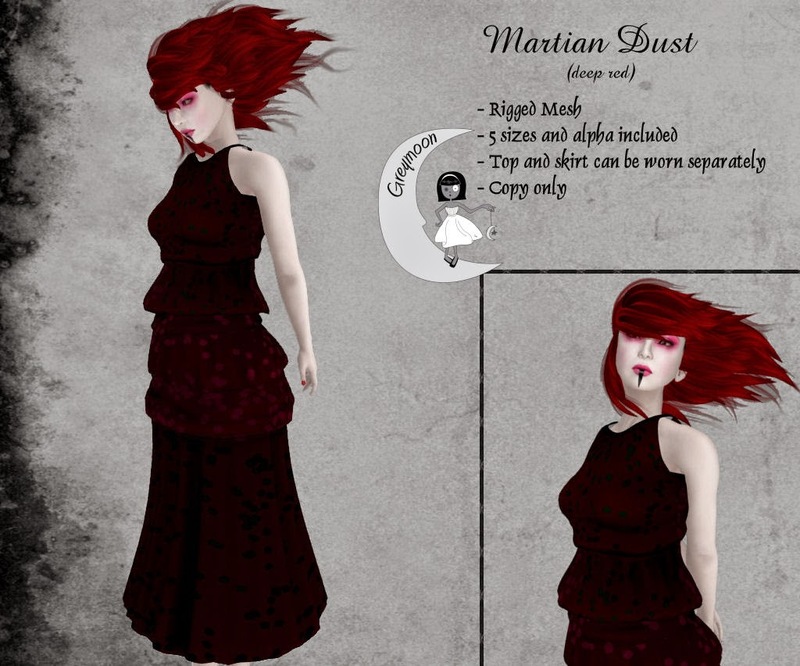 From Greymoon I present to you: Martian Dust - a skirt and halter top ensemble available in 6 colours. 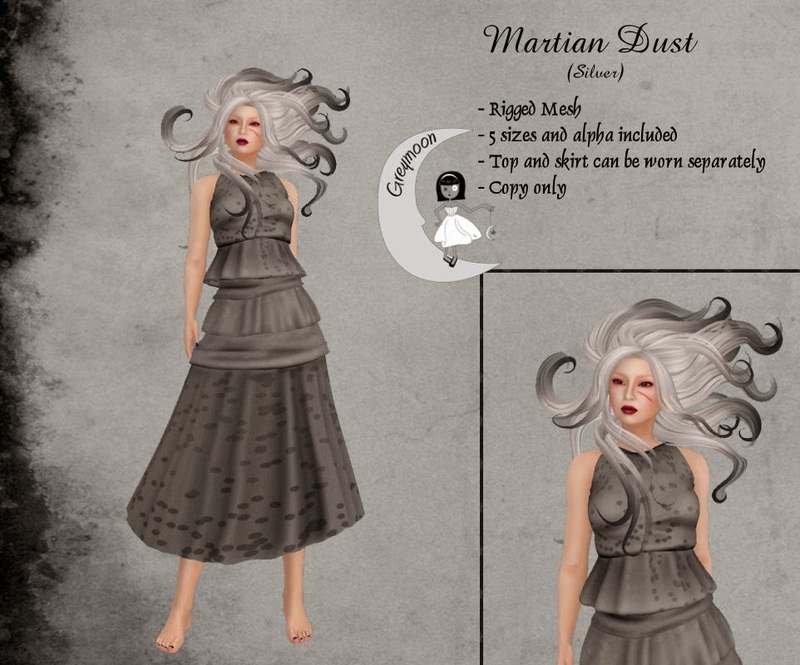 There are so many wondrous aspects of martian dust in the novel "Martian Chronicles" that I had to capture some of it in the fabric of these dresses. Enjoy them for only 130L each. 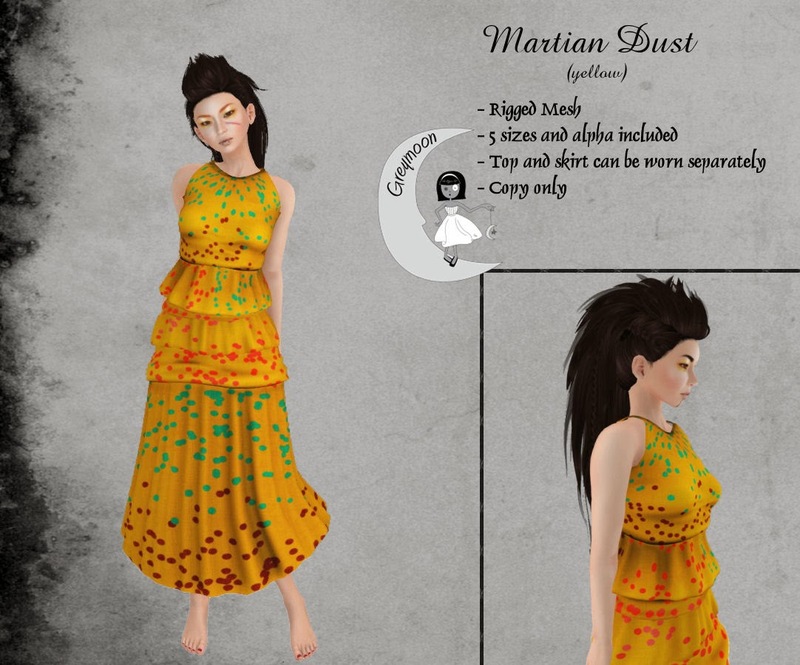 I am a designer and creator in the virtual world "Second Life". I own the store: Greymoon Retired owner of: Bundleworks, Bundle of Joy, Patchlets and Patchworks. I spend my time daydreaming and designing.